Happy Monday guys! Another week of possibilities is at our finger tips! I spent a lot of time in the kitchen again this weekend! I have become more addicted to cooking and experimenting than ever. But I am also stock piling recipes to have for the blog when I start school at the end of August and won’t really have time to be getting to creative. Planning ahead is always best 😉 I would have Instagramed some of the things I was creating, but most of us were affected by the “Instagram Debacle of July 20th, 2014”. That app was down all morning! It was so frustrating, haha! 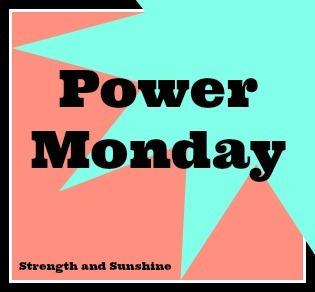 I’m nixing the #PowerMonday link-up since no one has really been link-up. Kinda defeats the whole purpose. But don’t worry, I’m keeping Power Monday going strong on my end. I thought today would be a good day to give you all a little reminder on keeping safe this summer. That is keeping sun safe. Sometimes we forget that being out in the beautiful summer sun can be extremely harmful to us if we don’t stay protected. So many times I see people with terrible sun burn and they pretty much laugh it off and shake their heads at themselves, yet they do it again and again. That is not okay. Repeated sun exposure that results in sun burn is not only harmful, but also deadly. Skin Cancer is no joke and is the most common form of cancer in the US. There are 3 forms. Basal cell and squamous cell are highly curable, but can still be detrimental. Melanoma is the third and most deadly form. UV rays from the sun are radiation that can be absorbed through the skin. Invisible, but can be deadly.